BIRMINGHAM, Ala., Sept. 28, 2018 — Command Alkon, the global leader in integrated supply chain technology solutions for the Heavy Building Materials industry, announces being named a 2018 Great Supply Chain Partner. SupplyChainBrain has maintained a tradition of celebrating 100 Great Supply Chain Partners for sixteen consecutive years. Command Alkon was selected from nominations submitted by customers for the award based on their innovative technologies and excellent services that deliver value across clients’ Heavy Building Materials supply chains. “For sixteen years running, SupplyChainBrain has published our much-anticipated list of 100 Great Supply Chain Partners — a select group of companies whose customers recognize them for providing outstanding solutions and services. Our six-month online poll of supply chain professionals requires a qualified response, asking them to nominate vendors and service providers whose solutions have made a significant impact on their company’s efficiency, customer service and overall supply chain performance. This year’s field of nominees was competitive and inspiring – coming from all sectors of supply chain management. Command Alkon should be proud to be named amongst the 100 Great! 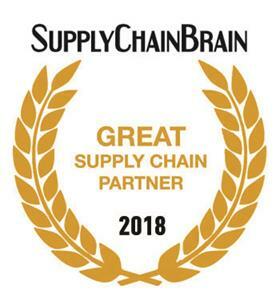 Command Alkon will appear in the 2018 October issue of SupplyChainBrain magazine as an honored member of this year’s 100 Great Supply Chain Partners,” said Brad Berger, Publisher, SupplyChainBrain. Next-gen cloud enabled technology transforms the supply chains of trading partners in the Heavy Building Materials ecosystem; from bulk materials suppliers, producers and logistics providers through to heavy-civil contractors, DOTs and project owners. By automating manual processes, companies streamline their inter-enterprise operations, which lowers costs and creates greater efficiencies. Enhanced supply chain visibility equips more informed decisions, and as the data from disparate systems is harmonized across the industry, insights gathered will be put to work to transform how companies in construction collaborate with one another to achieve superior outcomes. ABOUT COMMAND ALKON At Command Alkon, we believe in building an amazing world with solutions that deliver automation, visibility, collaboration and simplification to the Heavy Building Materials industry. Our integrated, digital supply chain solutions create an ecosystem for producers, suppliers and haulers of ready-mixed concrete, aggregates, asphalt, cement, and manufactured concrete, where operational transparency and efficiency drive profits. For over 40 years, our people, software and automation have kept clients moving to build the things that matter. Command Alkon is headquartered in Birmingham, Alabama and has offices in locations around the globe. For more information, visit commandalkon.com.